Meet our Redwood Fox. 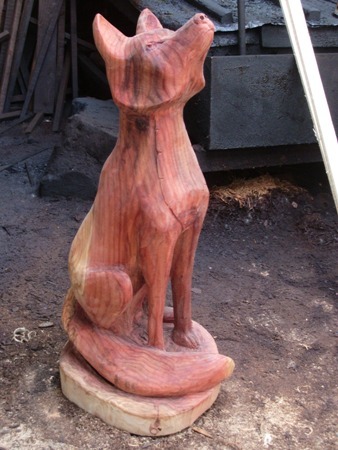 He will be on sale for £350.00 at Fort Victoria,Yarmouth, Isle of Wight, where Paul is carving on 21 August. He will also be carving at Westonbirt Arboretum on 23 and 24 August and then at the beautiful Wolverton Manor back on the Isle of Wight on 30/31 August. The very talented Glenn Martin, better know on Facebook as Mushyman, will be collaborating on a couple of pieces with Paul which is very exciting. Two talented people working together. 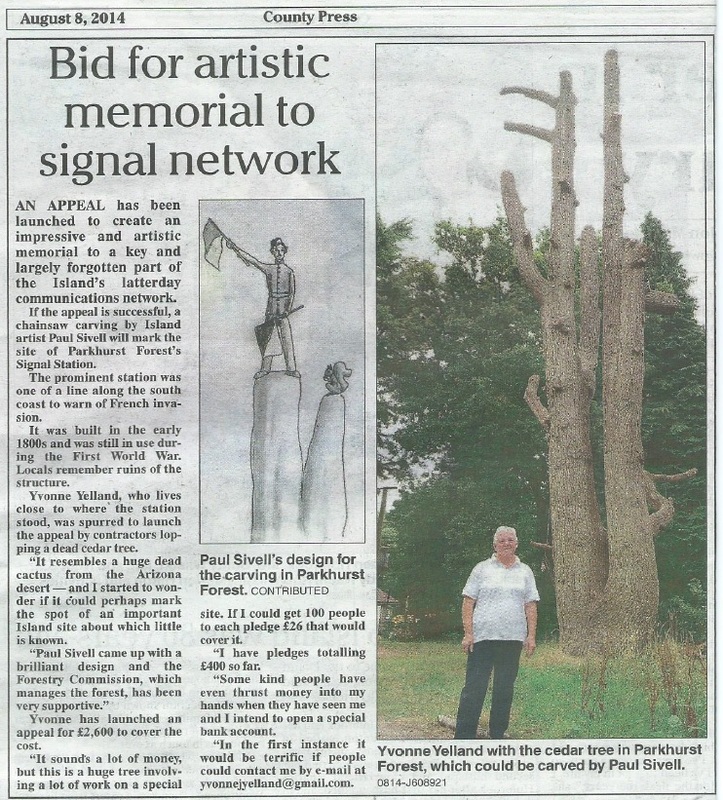 We are also trying to raise funding for a wonderful tree carving in Parkhurst Forest. 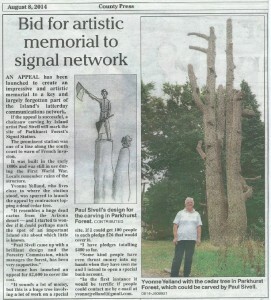 Yvonne Yelland is campaigning this worthy cause to save a bit of history for future generations. Paul has substantially dropped his fees and we hope to get donations as well. Copyright © 2009 - 2016, The Carved Tree. All Rights Reserved. Powered by WordPress Theme created by Black & Eve Designs.